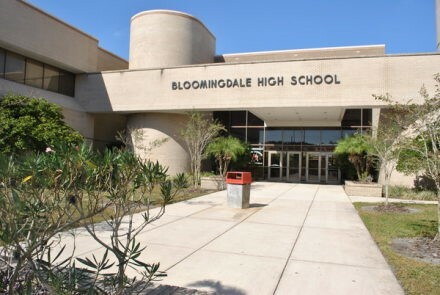 Bloomingdale High School | RoyalAire Mechanical Services, Inc. The multiple phase complete mechanical renovation of 265,100 square foot high school. The project included replacement of the entire chiller plant to include new chillers pumps, and refurbishment of the existing cooling tower. The underground chilled water piping system was replaced, as well as the above grade piping. All duct, insulation, VAV boxes, and controls were replaced. The project was designed by Holmes Hepner Architect and Lyle Engineering. The renovation was accomplished by Allstate Construction, Inc.